An innovative brand with a unique business model needs a creative way to market themselves. Unclaimed Baggage found a new way to engage bloggers and grow their brand, while earning their place as our outreach marketing example of the month. This brand has built a business on selling luggage that airline passengers never claimed. From formal wear to iPods, the store is huge and even equipped with a café. This place is a museum of unclaimed artifacts like bagpipes, Dutch wooden shoes, and African tribal artifacts (how do people just leave that at the airport, by the way!?) Unclaimed Baggage has a lot to offer. In an effort to promote their store organically, Unclaimed Baggage utilizes outreach marketing tactics in a stellar way. Let’s dive in and see how they worked with bloggers. Hopefully you’ll be able draw some inspiration from their strategy and apply it to your own. Since Unclaimed Baggage has one a retail location—no online store component—their goal was to connect with bloggers who were in a 2-3 hour radius of their location. They didn’t need bloggers to drive traffic to any website unlike most blogger outreach campaigns, rather, they needed bloggers to drive physical traffic through the front doors of their store. Through an event catered and tailored to Alabama bloggers, Unclaimed Baggage wanted to generate blog and social posts about the unique and family fun aspects of their store. Unclaimed Baggage didn’t utilize blogger outreach in the normal “hey write a post about us” sort of way. They wanted to take their strategy a step above that. Through the bloggers and the bloggers’ presence on variety of channels—Unclaimed Baggage positioned themselves in front of large audiences by using the one to one to many approach and organizing a creative blogger event at their store. A crucial component of outreach marketing is picking the right people at the right time and inviting them to authentically align themselves with a brand. 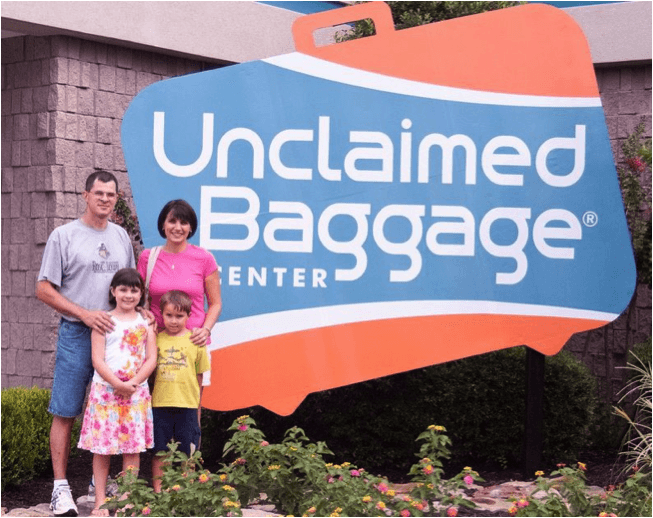 Unclaimed Baggage knew that they needed local bloggers to write about their retail experience, but they also needed them to have an affinity with their quirky but family-fun business model. There were many things to consider when Unclaimed Baggage tapped in to the sphere that surrounds their brand. They contemplated what types of bloggers their target audience would follow and how they could help these bloggers make their posts and social mentions appealing. They decided that retail and family oriented bloggers located in Alabama were the perfect fit. Unclaimed Baggage found their target bloggers on GroupHigh using granular contextual search features. They were able to pull a list of 30 bloggers by location parameters. Quality beats quantity in this type of situation. Strategy extends beyond narrowing down the right people and locating them. When influencers work with a brand, the relationship needs to be mutually beneficial. Unclaimed Baggage got valuable word of mouth recommendations but what did the bloggers get out of it? A guest speaker taught a session on how to use storytelling for better blog writing. I love how this caters only to the bloggers and has nothing to do with Unclaimed Baggage. Unclaimed Baggage was extremely happy with the group of bloggers they added to their network and the results that the bloggers were able to help them achieve. Chris Rainey, former VP of marketing at Unclaimed Baggage said, “By offering an immersive experience to our brand, the bloggers were able to gain a perspective that helped them create unique content for their readers.” He also revealed that they plan to do events like this one on a continual basis because they were so happy with the results and connections made. Have you been part of an event tailored to working with influencers or know of a good one to share? I’d love to hear about them in the comments below!